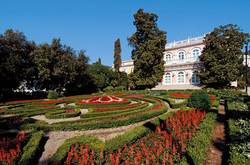 Opatija – once known as Croatian Monte Carlo this year celebrating 170 years of tourism – is situated on the shores of the Kvarner bay. With ideal climate which is owed not just to its seaside location but even more so to the Mt. Ucka, a well-wooded massif at the foot of which most of the Opatia Riviera is situated. 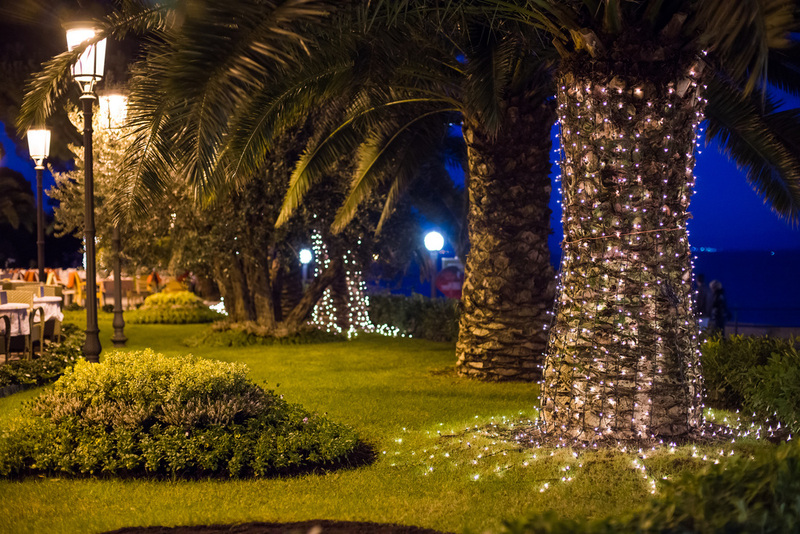 Well-maintained public gardens, the illuminated 12-km-long coastal promenade known as the "Lungomare", surrounded by elegant Villas and beautiful beaches makes it a perfect choice for Your guests… and right there, on the edge of the sea – lies beautiful 5 star hotel Ambasador (example hotel). We believe that this hotel is a perfect choice for senior guests because of its central location near Opatija’s city center above the private beach and beautiful promenade, just 200 meters from a local market and shops. In this hotel you can enjoy in ideal combination of pleasant wellness treatments and excellent food. After relaxing treatments at the hotel, guests can also enjoy a true gourmet delight in the Hotel Ambasador's restaurant with its beautiful view of the blue Kvarner Bay and Opatija while enjoying in notes of live music. Upon arrival to airport you will be welcomed by our guide and transferred to a beautiful 5 star hotel Ambasador in Opatija. After you settle down, we leave the hotel in order to explore this wonderful little town once famous and popular winter vacation spot for European Nobilities. 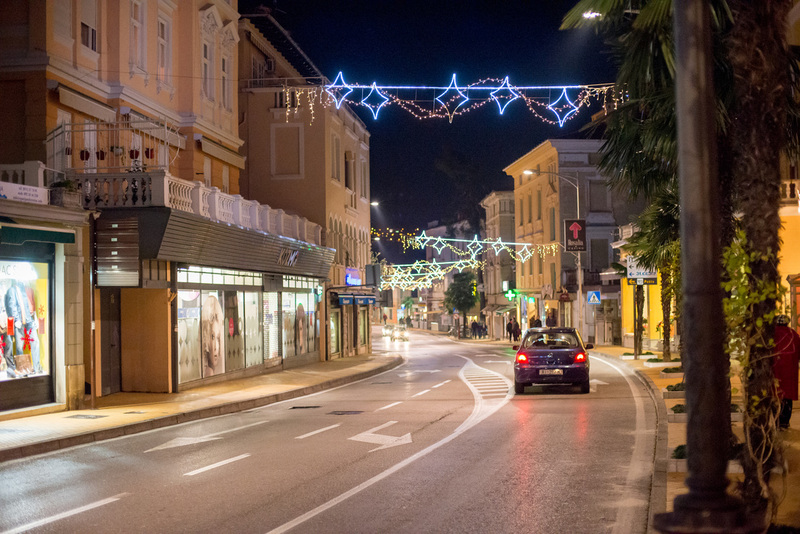 Starting with a walk along the Franz Joseph Promenade, accompanied by our local guide, you will get an opportunity to see the magnificent villas and old hotels , Angiolina park and other Opatija’s main attractions followed by free time for shopping at souvenir shops and local market. Our tour finishes at the newly-renovated terrace of the the first hotel built along the Adriatic Coast , situated above the Lungomare promenade, with magnificent sea view – hotel Kvarner. Our today's adventure starts with a bus ride to the little town of Lovran, passing the little seaside places such as Icici and Ika and enjoying the lovely seaside views. We'll make stop for a walk through the Lovran old town and picturesque small port. We move onto the medieval town of Mošćenice situated high above the seaside town of Moscenickadraga, the end of the Opatija riviera overlooking the magnificent beach and providing the best possible view of the surrounding islands in the Kvarner Bay. We are greeted by the major of this little town with only 100 inhabitants who is full of humor and liveliness. He takes us to his olive making mill and tells us how olive oil is made and offers his homemade brandy as a welcome drink. We then move on to meet the local vicar, visit the local souvenir shop and also have a time to look at the small museum which shows us how the people in the village used to dress, work and other interesting pictures and articles. If the time allows us, you will have a chance for panoramic boat ride along the Opatija Riviera with welcome drink on board. On board you will enjoy the sun, the sea, nice company and great atmosphere and get to know Opatija’s riviera, the Gulf of Kvarner and its islands from a different angle. A whole day excursion to the island Krk starts after breakfast. A drive from Opatija, over Rijeka to Kraljevica and over the bridge to the island Krk. 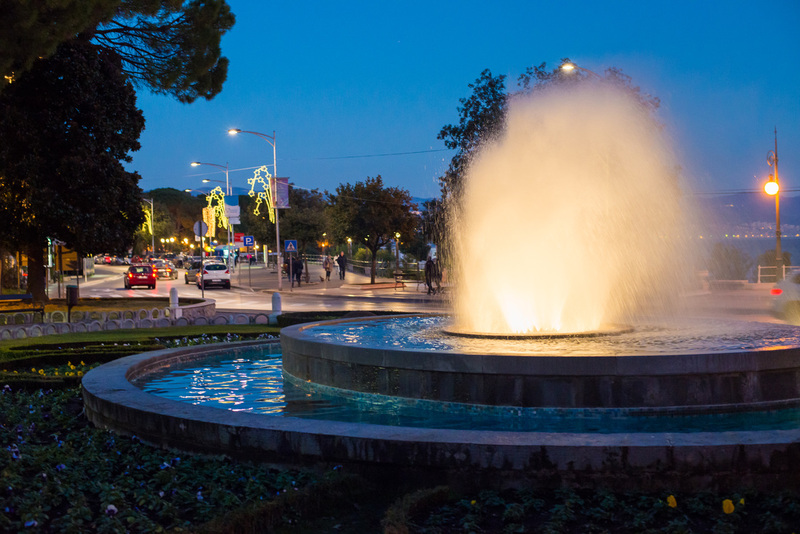 After passing Malinska and Njivice, arrival to the island capital – town Krk where we will explore the historic town centre and visit the display of religious collection in the church of St. Quirinus. A little bit of free time is scheduled after the guided tour after which the drive continues to Vrbnik, a charming seafront town situated on a cliff from which there are beautiful views of the sea, the Velebit Channel, and the Velebit mountain on the mainland. Vrbnik is well known for one of the most famous Croatian wines - Vrbnicka Zlahtina. After the sightseeing tour of Vrbnik we will visit tavern "Nada" where we will taste prosciutto, sheep cheese and Zlahtina wine. Return to the hotel in the late afternoon. 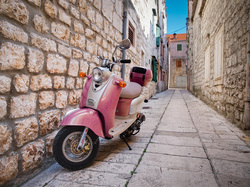 If you feel more like staying on land then visiting one of our islands then we advise to visit the most beautiful cities of the Istrain peninsula – Pula, Rovinj and Porec. This excursion starts after breakfast, driving trough attractive coast with historic sites and picturesque landscape of Istraian land part rich in vineyards, olive orchards and little medieval towns “sitting” on top of hillocks. 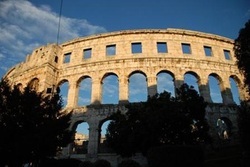 Our first stop is Pula where you can admire the 2000-year-old Roman Amphitheater, the Temple of Augustus and other architectural wonders from various epochs. Then - Rovinj, which is also known as the “Artists paradise”,and it is situated on a small peninsula where you can enjoy at its stone-paved streets up to the church of St Euphemia. We continue to Poreč, renowned for its basilica of St Eufrasius, enlisted in UNESCO World Heritage, and visit its old town centre with stone-built squares and palaces. During this excursion you will also have opportunity to taste some local wines and hear the story about family and wine history from a local wine producer. Return to the hotel in the late afternoon. There are many reasons for excursions, and the most common is to go to a place where we have never been before. For a memorable day out We'll travel towards Permani/Mucici, close to the Slovenian border. En route, we'll stop at the little village of Rukavac to visit the traditional mask museum which is used for carnivals in the Kvarner region. 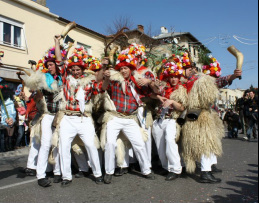 This region is famous for the Zvoncari, an unusual and fascinating folk custom that dates back to antiquity in Croatia. Its primary purpose is to scare away the spirits of winter and to encourage the arrival of spring. A local legend says that the custom was once used by farmers to frighten off invaders in the valley. We continue our journey to to a small typical village „konoba“ where you will have the opportunity to experience the region's cultural identity by meeting the locals and getting to know their local customs, tasting local wine and enjoy authentic music while the locals are playing cards. This restaurant once was a post office and a rest place for postal carriages while today is a place where local still lives their old traditions and a perfect opportunity for guests to enjoy this special authentic place. At Old Post Station restaurant that is renowned for its local food, homemade wines and brandy - You'll also have an opportunity to find out how charcoal was made nearby. After your farewell breakfast, transfer from a hotel to the airport.